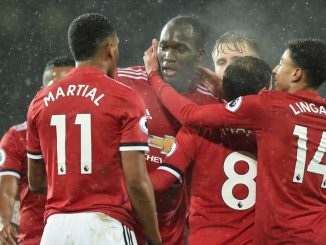 Manchester United just can’t over their current slump, and once again delivered an unspiring performance against a lesser opponent. Another decent outing for the Spanish goalkeeper, who racked up three saves on route to another clean sheet. He evidenced better form compared to recent games, and it’s clear he deserves little to no blame for the team’s current struggles. Just like De Gea, Young doesn’t deserve a lot of criticism as he is adjusting – once again – to a new role. The (former?) 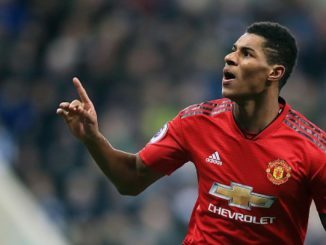 winger has been playing on the right flank since Antonio Valencia got injured, and is showing an ability to contribute on both ends of the pitch. Finished the game with four tackles, one interception, one clearances, 10 duels won in 13 attempts, three key passes, and five crosses (two accurate). As it has been the case during most of the season, the Swedish defender struggled once again. Lindelof had some problems with the pace of Southampton’s attacking line, and it’s clear he is a few steps below Eric Bailly and Chris Smalling when it comes to quality. Has not adapted to the Premier League as well as expected. Composed effort from the England international. Dealt with the threat of Shane Long quite well, and looked accurate on his touches. Tallied nine clearances, one interceptions, and three duels won out of four chances. The left-back looked good against his former club. However, he wasn’t nowhere near the form he had when he used to play for The Saints. 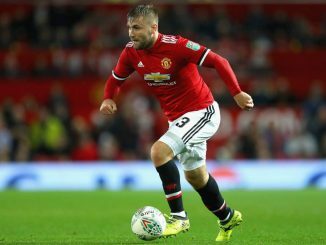 Shaw is simply getting the job done on the left side of the defence. However, he is likely starting solely because of other players’ form, such as Daley Blind and Matteo Darmian, of late. The French playmaker once again failed to live up to his current superstar status, and looked uninspiring in the middle of the pitch. Even though he managed to collaborate on both ends of the pitch, Pogba looked sluggish. He didn’t register a single key pass, his lone cross was inaccurate, and did not register a shot either. That’s not good enough for someone who should be dominating the midfield area on a weekly basis. Had a goal disallowed late in the second half that could have changed the game. Between the Serbian midfielder and Pogba, it was surprising to see the former Chelsea player as the more attacking-minded player, but that’s exactly what happened here. Matic had a lot of freedom to roam forward and the stats back that up, as he finished with three shots, one key pass, and two dribbles. He also excelled defensively, limiting the impact of Dusan Tadic. The Spanish playmaker looked active on the right wing, and ended operating more on the left wing after the entrance of Marcus Rashford. Mata came close to score during the first half, but Alex McCarthy denied him with a great save. And he was a constant playmaking threat, as evidenced by his three key passes, six crosses, and 90 percent of accuracy on his passes. United need him at his best, and he was close to that version in this game. It seems it doesn’t make sense to praise or criticise Lingard, because he is who he is. The winger can either takeover and dominate a game upon his presence, or just be there wandering not doing anything even remotely dangerous. Unfortunately for United, the latter was the case here. His creativity would have been quite useful for a United team that faced a stout defensive line. The Armenian playmaker got his first start in quite a while, and he made the most off it. He tested the goalkeeper once, registered three key passes, looked accurate on his touches, and finished with eight crosses, although only three of those met a teammate. He remains quite far from his early-season form, but it seems he is playing better and better over the past few weeks. United could need a boost if he plays like he did during August and September. Unfortunate game for Lukaku. The Belgian left the field on a stretcher after a head-on-head collision, and he reportedly needed oxygen while he was receiving treatment on the sidelines. Jose Mourinho spoke about Lukaku needing a rest, and all the signs indicate he will be on the shelf for, at least, a couple of days. The youngster has been overly criticised by his recent form. However, he did nothing to silence those doubters with another lackluster effort. Rashford operated on a central role after replacing Lukaku, but wasn’t accurate on his touches. He finished with just one shot and one big chance missed. We could copy what we said about Rashford and paste it here. Another dismal effort from the French attacker who, just like the rest of the team, does not seem to be playing as well as he did earlier in the season.